Colonel David Hunt says that North Korea could respond to any attack by South Korea with an artillery barrage that would kill millions. Fox News military analyst Colonel (ret.) David Hunt warned Thursday that any miltary action taken against North Korea could trigger a counter strike that would leave more then a million dead. Tensions between the United States and North Korea have been escalating ever since Pyongyang tested two intercontinental ballistic missiles last month that are capable of hitting the United States. Hunt, a member of the US armed Forces for over 29 years, said that in all the war games conducted to anticipate the possible ramifications of a war with North Korea, Pyongyang had a warning of 6-8 minutes before an American preemptive strike. If Pyongyang knows that the US is about to hit it militarily, Hunt said, it is expected to launch an artillery bombardment of hundreds of thousands of shells on South Korea, including the 28,000 US troops stationed there. "A 6-8 minute warning is enough for them to launch hundreds of thousands of artillery shells 30 miles south to South Korea," he said. "The United States would obviously win. We have the greatest military in the world," continued Hunt. "The civilian toll though, would be horrendous. We can expect a million dead." "That may be too much for anyone to handle." 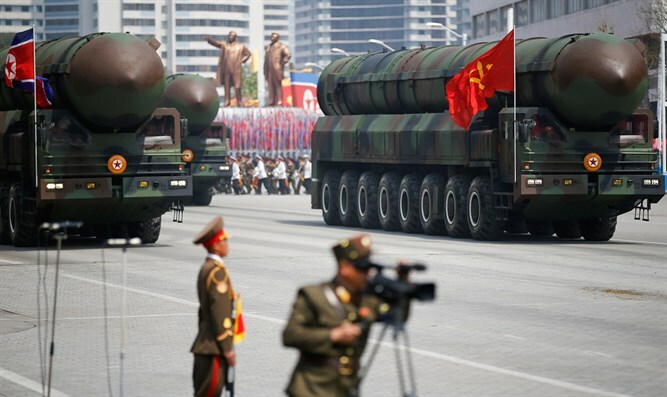 The United States has ratcheted up tensions with the isolated country recently, after North Korea test-fired two Hwasong-14 that now grant it capability to hit the US for the first time. After North Korea threatened to shoot missiles at the US territory of Guam, President Donald Trump warned that "North Korea best not make any more threats to the United States." "They will be met with fire, fury and frankly power the likes of which this world has never seen before" Trump warned. Trump also trumpeted the United States superior nuclear arsenal in an early morning tweet from his golf resort. "My first order as President was to renovate and modernize our nuclear arsenal. It is now far stronger and more powerful than ever before," he wrote.